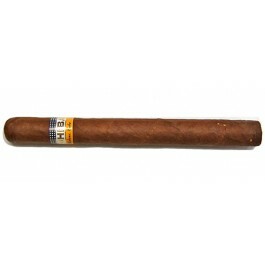 The Cohiba Siglo V is an incredible medium strength Lonsdale, of 43 ring gauge, 6.7” (170mm) long and comes in aluminum tubes in a box of 15 cigars. Rated #2 Cigar of the Year 2009 by Cigar Aficionado, it fully deserves this award as it is a perfectly rolled cigar, with a flawless draw and an amazing burn. Powerful flavors are developed by this vitola, which is unique in Cohiba’s lineup, there are lots of cedar, leather, earth, pepper, some sweetness and a constant creaminess. The price is not a deterrent for its many fans, who value this Habano as the best from the Siglo Linea.